Spray 9 cups in a non-stick muffin pan with floured cooking spray, or grease and flour the pan and set aside. In a large mixing bowl, mash the avocado and banana very well. Add the granulated sugar, oil, sour cream, brown sugar, vanilla, cinnamon, nutmeg, optional salt, and whisk to combine. Add flour and baking powder and stir until JUST combined – DO NOT overmix!! Set bowl aside. 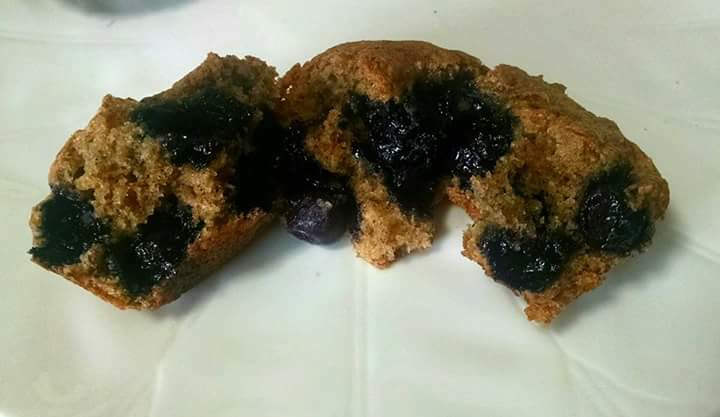 In a small bowl, toss blueberries with 2 tablespoons flour ** helps prevents them from sinking as much while baking. Gently fold blueberries into batter along with any loose flour from tossing berries. Divide batter evenly among 9 cups in prepared pan. Each cavity should be filled about 3/4-ish full. Lower the oven temperature to 350F and bake for another 17 to 20 minutes, or until muffins are done. If using fresh berries, your baking time could be a few minutes less. Muffins are done when golden and a toothpick inserted in the center should come out clean, or with a few moist crumbs, but no batter. 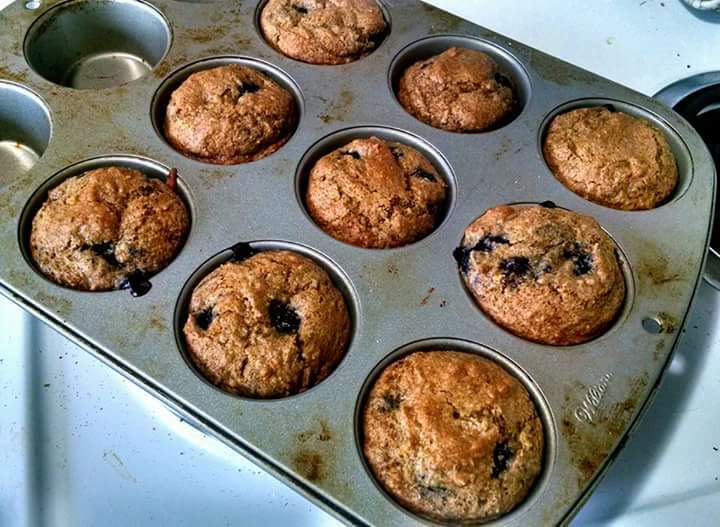 Allow muffins to cool in pan for about 10-12 minutes before removing. The cooler they are, the easier they come out of the pan. 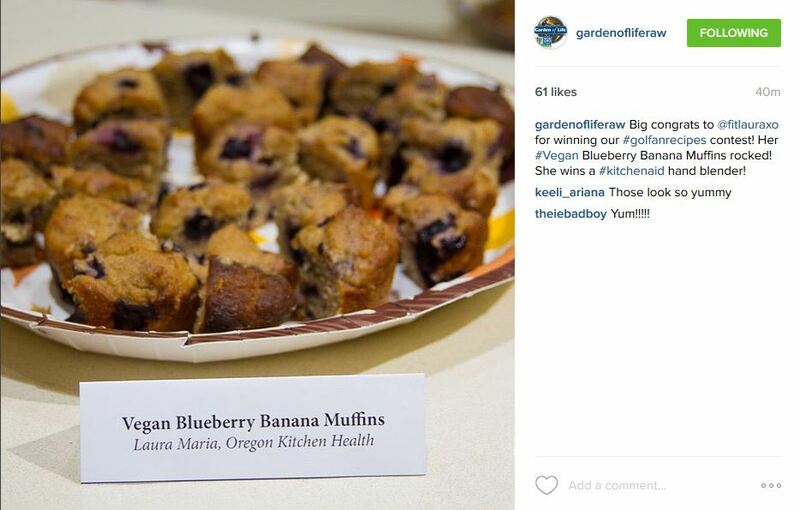 Posted on October 30, 2015 January 6, 2017 by OregonKitchenPosted in VeganTagged Breakfast, dairy-free, healthy, healthy breakfast, healthy cooking, healthy muffins, healthy snack, homemade bread, quick, quick vegan, vegan, vegan baking, vegan bread, vegan breakfast, vegan cooking, vegetarian.